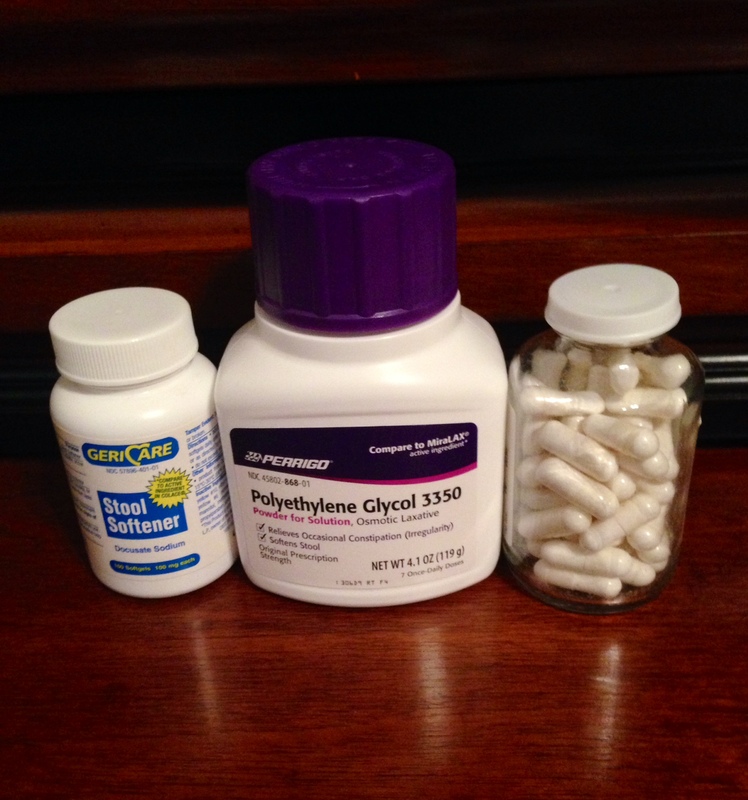 Most of the meds (opiates, pain meds, other meds) we take with a chronic illness can cause really bad constipation. With my Norco I was constipated the first week on it but my body adjusted to it and I was regular. By the way Norco was my IBS savior, after having IBS for 10 years the Norco made me regular again. I am now using 90 mg of Morphine ER or MS Contin per day and I hear your body can never really adjust to the constipation with Morphine. I have possible Gastroparesis, slow digestion chronic dehydration and all my other meds that can help with the constipation also. I had a really bad experience with the constipation from the morphine for the first 2 weeks. I was constipated or backed-up for 9 days! It wasn’t fun and wasn’t cool. I won’t go into details of how it all ended, way too much TMI, pain and passing out! But I will share how I have got the problem under control so far since then. I am taking 1 cap full of Miralax or Polyethylene Glycol 3350, 1-2 stool softeners and 2 triple magnesium complex (I get them from swansons) and plenty of hydration with water each day. So far I seem to be having success one time per day or once every two days. I know it’s not good to take the stool softeners long term so I hope my body will start to adjust to the meds. I hope this info may help someone else going trough the same thing I did with the morphine. Best of luck to you and sorry readers for the TMI but I have to be honest and real. I always try to update when I can and share my story in detail so those who may have questions or concerns about the things I am trying or going through may get a real experience instead of the one the doctor tells you. I made this blog to hold nothing back and be as real about lyme and chronic illnesses as a can. Hopefully this may help somebody in the future or make them feel some comfort that someone else went through the same thing they did. So today is day 3 after the reaction to the IVIG (gammagard) and I still feel a little different and my head has severe pain when I stand up or bend over. 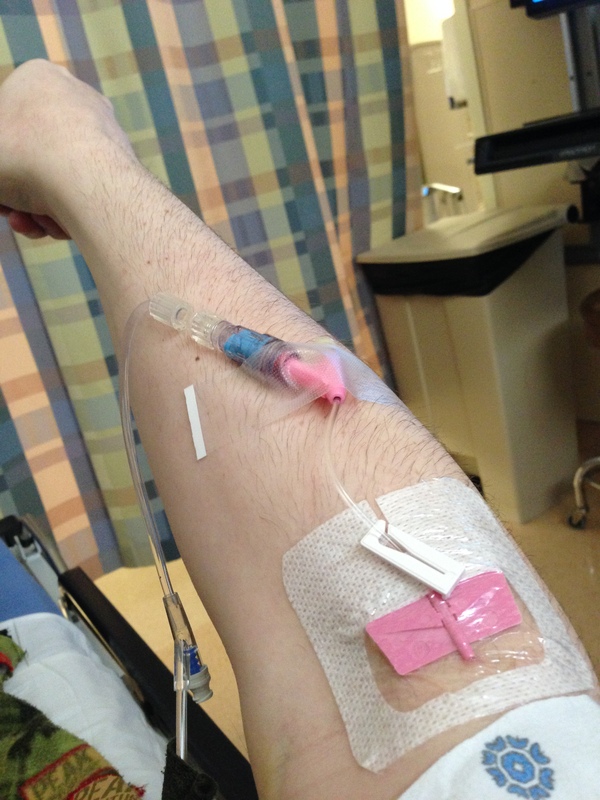 I was told before-hand I might have a bad reaction to the IVIG and a migraine (I have a 5-6 years history of migraines and I have had Encephalitis). Before the infusion I took the 1000 mg of Tylenol as recommended by my home nurse but I also took my 30mg of Norco and 30mg of Morphine ER and other meds like Ketotifen. I knew I would have a reaction since I did on the heavy metal test IV also. I am used to migraines so I wouldn’t have went to the ER for just the migraine itself but this was worse, couldn’t walk, talk, see and couldn’t keep anything down even after 8mg of zofran. Zofran never helps me but the ER just thinks it’s a miracle med. A friend in the medical field thinks it could be Aseptic meningitis but I’m not sure. Like I said in my previous post the ER just thought I was having drug withdrawls or a common headache (SIGH). 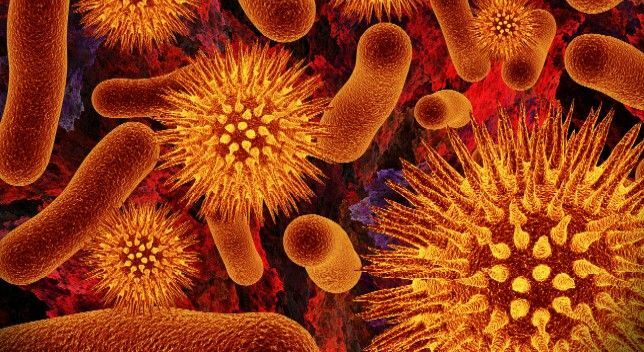 If you want to read on all the side effects I had from the IVIG infusion click here and scroll down. For the next infusion we are going to slow the infusion to maybe 8 hours (instead of 5 hours) and I am trying to get some migraine meds which I know might not help. I will also be doing an extra ringer of fluids this time. I thought taking a nap would help but that’s when I woke up with the migraine so I don’t know if I will sleep after the IV either. I have also been waiting for my Ketamine infusions to begin up to 3 times a week. We have been waiting on UCSF to refer me to UC Davis. UCSF said they send the referral a couple weeks ago. So I call UC Davis today and the lady was very unhelpful. She told me my referral was “declined” because they have no room for me in the infusion center. I explained how I get too car sick and this was the closest place for me or if she knew a near by pain clinic and she said “sorry try google”. My mom was told by a guy at UC Davis “sure just get a referral and we will get him right in and infusing in no time”. Ummm nah! So I am on the lookout for a good, friendly pain mgt center that does Ketamine infusions weekly within Vallejo up to Sacramento area. Thank you. Hope you all have a flare and pain-free day! 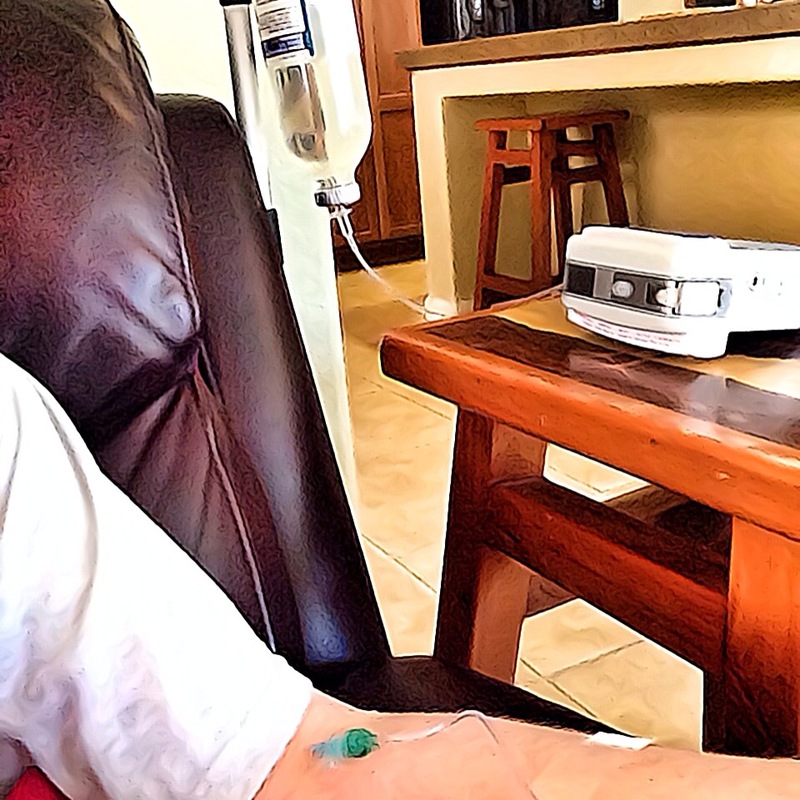 After my 5 hour home IVIG (gammagard) infusion I felt fine for a while. I started to get sleepy that night since I only had an hour sleep before the early morning infusion (I sleep during the day). I ate dinner then watched some TV feeling fine for hours after the infusion then I fell asleep. I woke up at night maybe between 12:00 -2:00 am and had the worst pain in my head I have ever felt. It was a bad migraine. 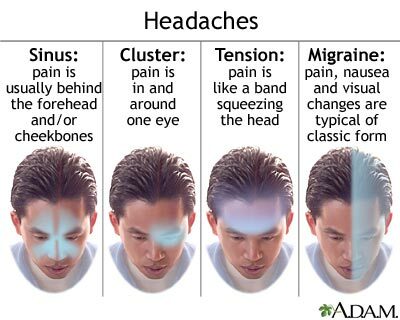 I have migraines many time each month so I know the difference in a migraine and a headache/cluster headache (I will tell you why I mention this soon). My whole body also felt extra inflamed and I was sweating worse than usual with the chills. I started to get nauseous. About 4:00 am I couldn’t handle the head pain any more so I text my mom to come check on me and bring a bucket. She gave me an ibuprofen 800 which I puked up. She tried everything mom’s usually do and nothing helped. She called the ER and my home nurse and they both recommended I go to the ER. I got up and couldn’t walk. My mom helped get me ready and I went to the ER. My mom wheelchaired me in and I had to put on a mask since I have the immunodeficiency and people in the waiting room gave me odd looks. I couldn’t talk, and the pain was so bad I had bad air hunger. The nurse takes us back and was asking my mom what was wrong and kept asking why I was on IVIG and what else I had besides chronic lyme as if that wasn’t enough! I told her in my mumbling voice I had a migraine and needed oxygen asap. So the nurse wheels me to my room and there sat a bed with no pillow and no sheets. Luckily my mom brought a blanket because they never brought me a blanket although I was sitting there shivering with the chills. It took forever before we got a nurse to come in and they were not busy at all it was quiet in there and all the nurses were talking about their weekend. For the first 30 min nurse after nurse and even the doctor kept questioning all of my meds like my morphine, my heart meds..etc. They would change the subject when lyme, POTS, GP or Lupus were mentioned as if they don’t exist. They ended up giving me 2000 of fluids with IV Ativan, Clonazepam, Zofran, and 2 doses of Morphine. I didn’t want dilaudid because it does nothing and they were hesistant to give me morphine although I am on it at home daily. I also told them zofran does not help I have 8mg at home and I still puked after getting it. That was all they did, no oxygen although I was gasping for air, no migraine meds, nothing useful. I said “why no migraine meds” and the nurse said “the doctor says it’s only a headache and you have no proof it’s a migraine”. umm ok?!! So the doc comes in and says you look better already we will be sending you home. He mentioned he though I was probably only withdrawing from my morphine nothing to worry about and to keep taking my IVIG and he knows nothing about lyme pain. I don’t get “DTs” or Withdrawls from not taking a med on time. I only missed my morphine pill by a few hours that would not cause all of that. Plus I’ve been on opiates for 15 years and never had any kind of effects from the pills or stopping them. So they made me feel like a druggie and made my illnesses all seem made up although they are all in my records including 30 year chronic lyme. It pisses me off being treated that way. The first few visits there they treated me that way but the last two times they knew who I was and took me serious with my standing order for fluids for my chronic dehydration. Maybe it was because I went during another shift (time of day) than usual? So I am told to continue IVIG since my IgA is only 40 and I have the immunodeficiency. So I guess I will do it again in 4 weeks. I just don’t know what I can do to prevent this reaction? I took tylenol as recommended with the IV and my norco and mophine after. I also took my Ketotifen which is like Benadryl for allergies. I had an epi-pen but didn’t think that would help. It was a horrible 2 days and I have been through a lot and have chronic pain for most of my life but the brain pain is my weakness. Luckily I could text just a little so my friend kept me going through it all she was so sweet and motivational. I am still hopeful and optimistic that this IVIG will get my immune boosted and I will have a few good days each month. I am keeping my fingers crossed. I hope all of my fellow warriors are doing better today and keeping a smile on your face. Never give up the fight no matter how difficult it gets. We are all in this together. My new home nurse came today at 9am (my usual bed time) to start my first home IVIG infusion. The infusion was supposed to last up to 4 hours. It ended up taking about 5.5 hours. At my last appointment with my lyme doc she told me my blood pressure was too high and I needed to monitor it daily and record it. Well my nurse walks in this morning and takes my blood pressure and her eyes lit up and she said “you are 165/112 that is way too high and you have been just sitting there relaxing since I got here, you could have a stroke one day!”. I told her “yeah this is pretty common since I have hyper POTS I am always tachy”. So she waited another 30 minutes and took my blood pressure again and we got the same reading. So she was freaked out and said “in all of my years of being a nurse even in a hospital I have never seen someone so high constantly, most are brady or on the low side”. So she said she felt uncomfortable and called my LLMD right away to ask her to prescribe heart meds. Within 15 min Walmart had my prescription filled for Lisinopril 10mg. I am told to take up to 2 per day as needed if my heart rate is higher than the normal 120/80 and around the 130/90+ range. I have used Beta Blockers in the past for my heart but this med is new and different for me. It’s a ACE inhibitor. So I have hypertension/tachycardia again. But this wasn’t a surprise I have had high blood pressure off and on for 5 years and my Pulse OX used to set off the alarm at 115 pulse daily last year. I know a lot of POTs friends who are high BP also. The IVIG went pretty smooth. I clotted once or twice and it stopped or alarmed the IV pump. I don’t feel any side effects from the IVIG yet but it’s only been a couple hours since we finished. I was just a little light-headed. The new heart pill is making me more sluggish and my vision seems weirder for now but that should get better as I get used to them. I hope these infusion for my Immunodeficiency will start to make me feel a little bit better. I will be getting IVIG infusions every 4 weeks for 6 months and then we will see if I need to increase the frequency, continue them or stop them. Next up will be my Ketamine infusion at UC Davis. I only slept maybe an hour last night so I am heading to lay in bed and see if I can fall asleep for a while. I hope all of my fellow chronic illness warriors are having a nice Saturday. Find a reason to smile today no matter how much you may be going through. 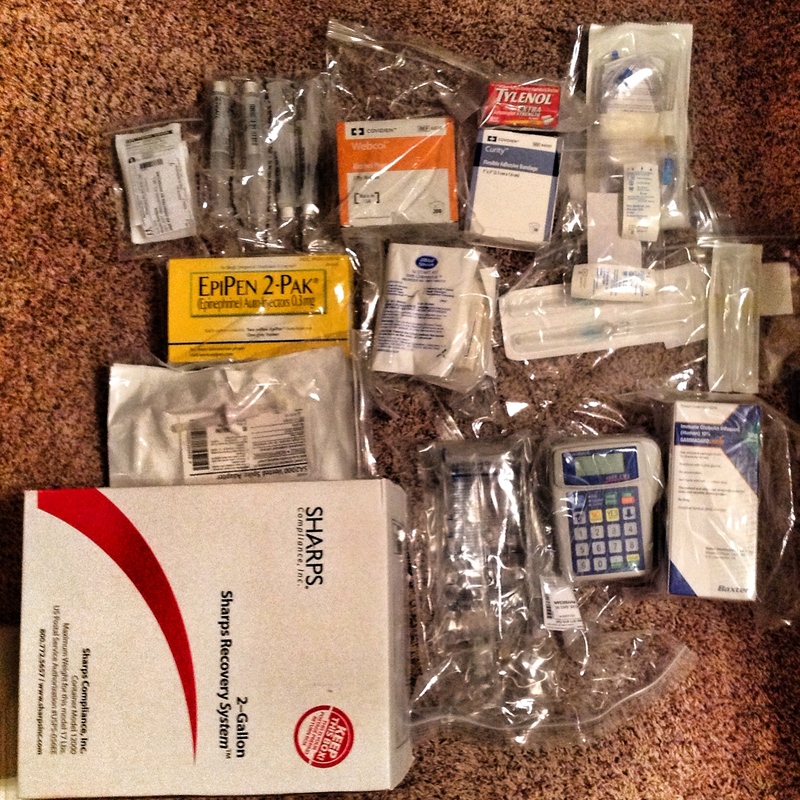 Finally received my IVIG (Gammagard) supplies for my monthly home infusions. Just waiting on the nurse to call and set up the date she is coming to my house. I was supposed to do it last week the nurse was ready but the meds weren’t here yet. This will be my first time using any IV meds for my immune. My IgG has always been low for 5 years or more but my IgA was never low enough that insurance would cover IVIG so now it is low enough to get it somewhat covered. I will be paying $471.00 out-of-pocket for each infusion and that is after being covered by Medicare. My IgG and IgA are low so we are hoping this will boost my immune and get those numbers up. I will start slow only doing one IVIG infusion every 4 weeks but that may increase in the future. Gammagard can cause headaches if you infuse too fast so the infusion for me will take about 4 hours but some can take up to 8 hours or longer. You are told to take Tylenol before hand. I will have an IV pump so they can keep the drip rate slow or low at the precise pace where I don’t feel the headache. There are many side effects with IVIG (fever, chills, muscle pain..) but many of them are already symptoms us lymies have daily so I won’t notice the difference. Hope this helps me feel a little relief soon, I know it will take months before I notice anything. I thought it might be helpful for some readers if we do a questions and answers type of thing where you the reader can ask lyme related questions in the comments section below and other readers or myself will try to answer them for you. Then I will do another blog post with those questions and any replies/answers to those questions soon. There is no “too much info” (TMI) here, we are all ill so we can relate to any embarrassing questions. I start off the questions with one of my own that I need help with. 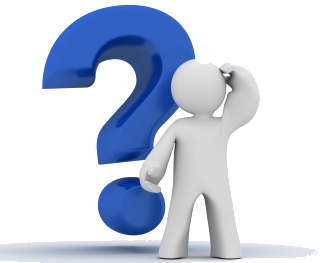 My Questions: How can I get a low-premium secondary insurance to help cover medical costs with my Medicare? I have Original Medicare and a Part D plan but they only cover 80% of costs. I have a secondary insurance from before I had Medicare which is called Medi-Cal here in Ca (Medicaid) but since I have Medicare now Medi-Cal wants an $800 deductible per month before they will help cover any costs in each month. 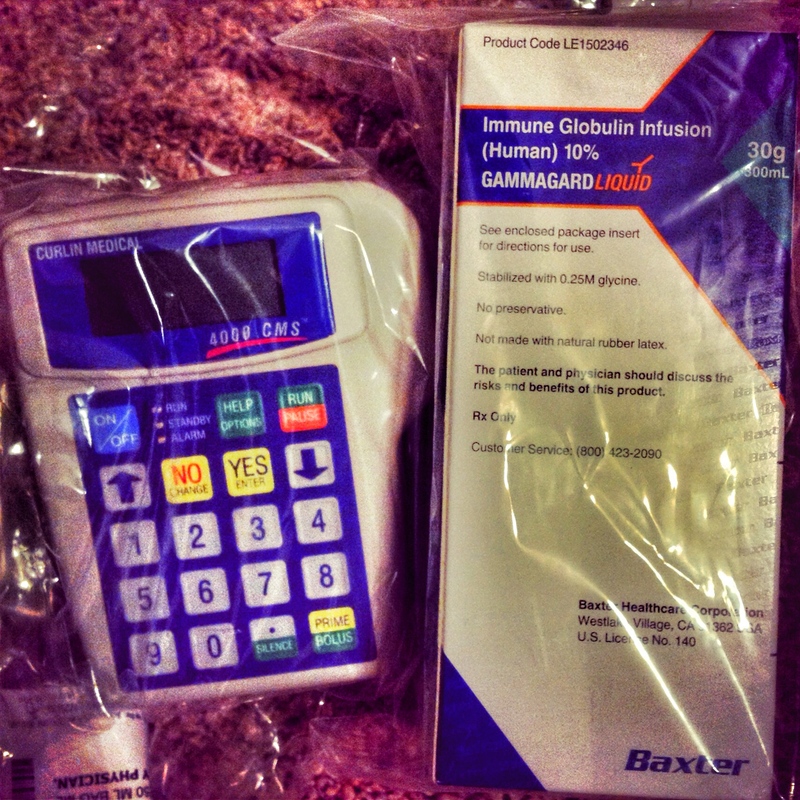 My IVIG (gammaguard) will cost me $471 out-of-pocket (covered by Medicare) per IV and I may need them a few times per week.Even my nurse said most of her patients on IVIG don’t pay a thing or pay much because they have secondary insurance. 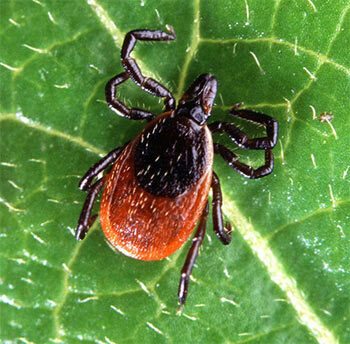 My last visit to my LLNP was $900 and Medicare said they won’t reimburse any lyme doc visits for the last 3 years and future appts. My other must have meds/supps are $300 per month plus all my other needs so I will go in debt again at this rate. I know many can relate and some pay more out-of-pocket than I do. I just have already paid a ton out-of-pocket before I had Medicare so I have been there. I am looking for a way to get a low premium secondary insurance to cover the other 20% Medicare does not. Most secondary will not accept me since I have a small fixed income from disability or because I have Medicare. Thank you. Please feel free to ask a question below or provide an answer if you can help. Thank you.